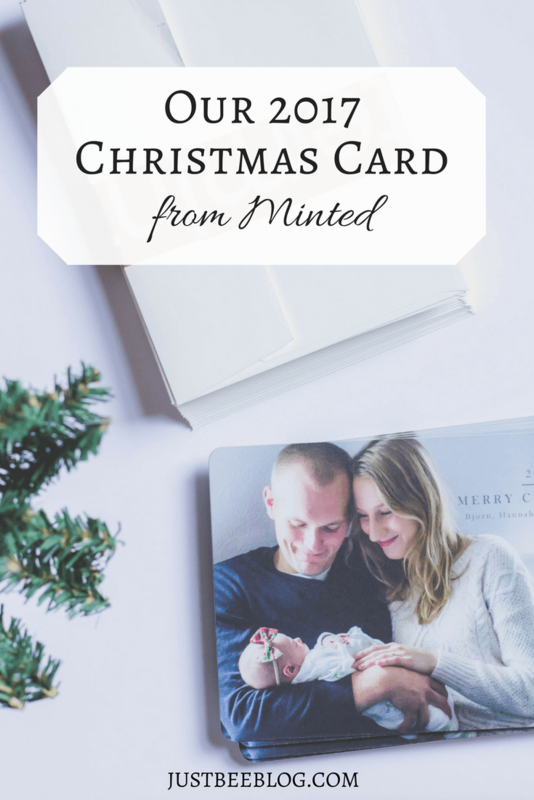 Thank you to Minted for sponsoring today’s post! Some links are part of an affiliate program. As always, I only share products and brands that I truly love! I’m so excited to be sharing our 2017 Christmas cards with you today! 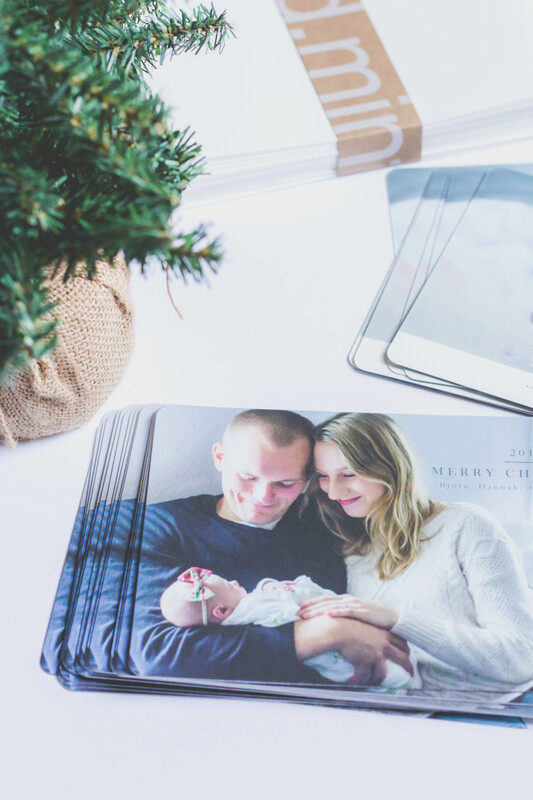 I absolutely love sending out our Christmas cards each year – it is such a special part of the holiday season. It’s a tradition I started doing the first Christmas Bjorn and I were married, and I’m so glad it’s a part of every year for us now! Growing up, I ALWAYS looked forward to the annual Christmas cards from relatives and the letters that arrived with them. I didn’t grow up with any extended family members in the same state as my immediate family, so Christmas cards were such a sweet way to hear updates about the people in our lives. Now days, I feel the same excitement about getting to reconnect – not only with relatives, but with old friends, new friends, co-workers, and people we haven’t seen in years. I remember daydreaming about getting to send out our very first Christmas cards to friends and relatives. It has been so much fun sending out our Christmas cards these past 3 years. This year will be our 4th year sending out a card and letter as the Olsons and I can’t wait! We like to include a letter along with each Christmas card – an aspect of card-exchanging that is especially important to me. I love continuing the letter-writing tradition that I grew up with. Letter-writing to stay in touch with loved ones is a part of my growing-up years that I do not want to lose. I may not write many letters now days to stay in touch, but I like to jump back in with snail mail during the holiday season! Usually our Christmas letter includes highlights from the past twelve months, and other news that not everyone may know or have seen on social media during the year. I loved writing friends and family while in college. But life updates in the form of physical mail are really becoming a lost art and snail mail needs to be kept alive! We instead just get snippets of “updates” via people’s Facebook photos and other little announcements that fly by throughout the year. It’s important to be a bit more intentional come holiday season. Christmas is a very significant and meaningful holiday, and for us, it’s a time to celebrate Christ’s birth and the purpose and joy His gift adds to our lives. Another big aspect of the holiday season for us is cultivating relationships. Sending holiday cards shows people that you care about them – whether you’ve spoken with them recently or not. I like to spend time carefully selecting the card we’ll use each year! This is one of my favorite parts of the whole process. (And I think I have way too much fun narrowing down all of the options, haha!) 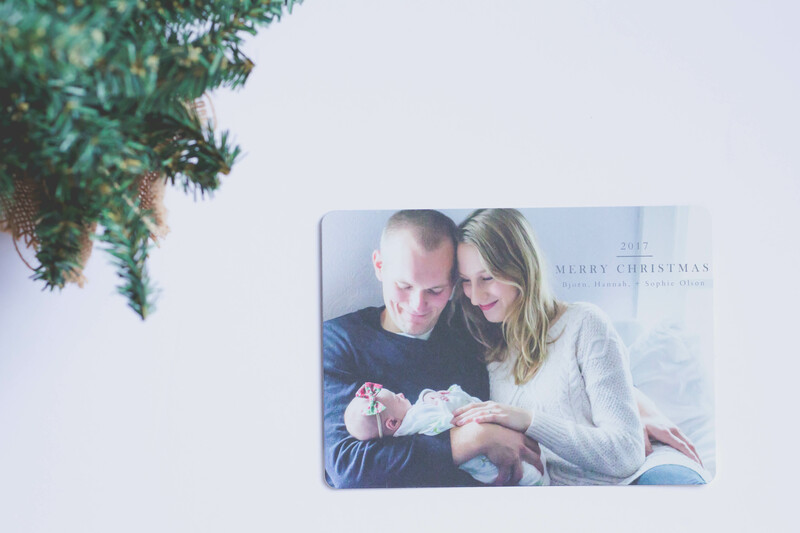 I prefer using Minted for our holiday cards. Bjorn and I used Minted for our save-the-dates back in 2013, and for our wedding invitations in 2014! Since then, we’ve really enjoyed using them for our holiday cards as a married couple! They’re my favorite company to order cards from, by far. I love the high quality of their products, and the gorgeous designs that are done by independent artists. 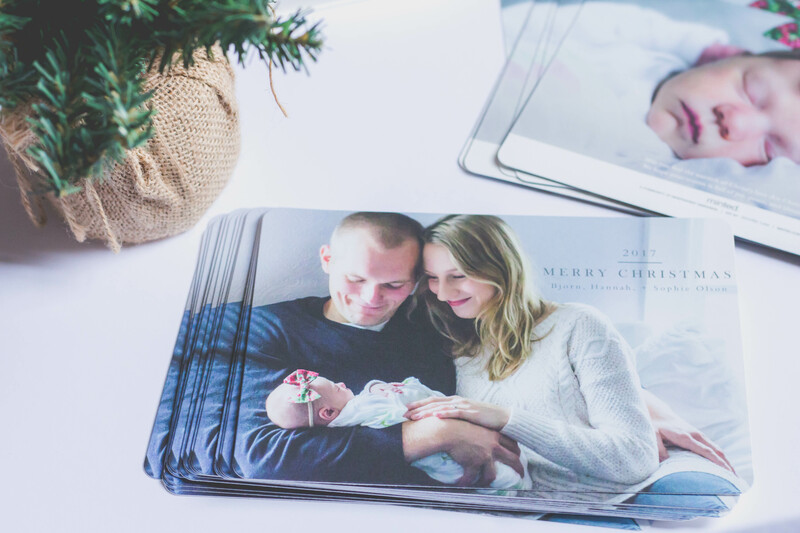 As soon as we got our little family photos taken, I headed to Minted’s site to peruse their Christmas Photo Cards. There are so many card options, and the hardest part for me was narrowing them down because they’re all beautiful! I’ve always been impressed with their selection. Once I (finally, haha) picked the card design I wanted, I could further customize the card with text, different options for the back of the card, and even change colors around a little bit! Basically, you start with an already lovely design, and then you can have fun working to make the card your own! 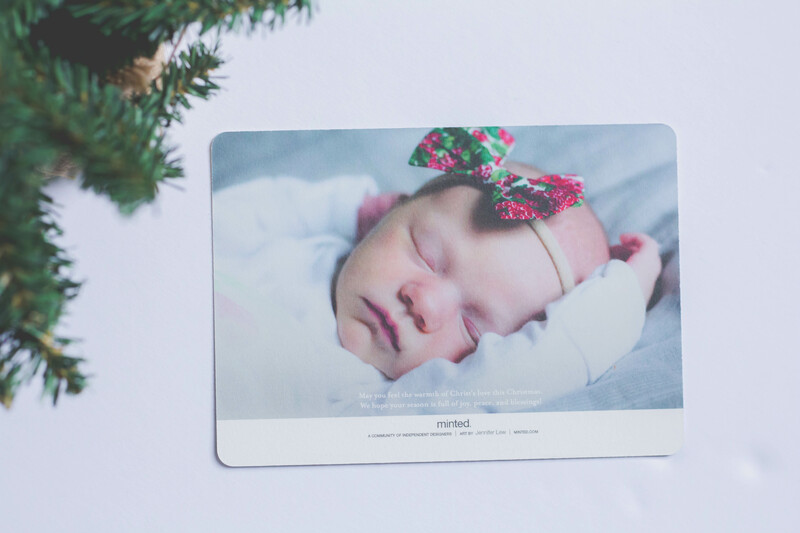 Minted cards and invitations are classy, high-quality products. I love the fact that holidays give us an excuse to be extra intentional. It’s especially wonderful to be intentional about staying in touch (or getting back in touch!) with others. And sending out Christmas cards is the perfect way to do just that! Do you send out a Christmas card each year? 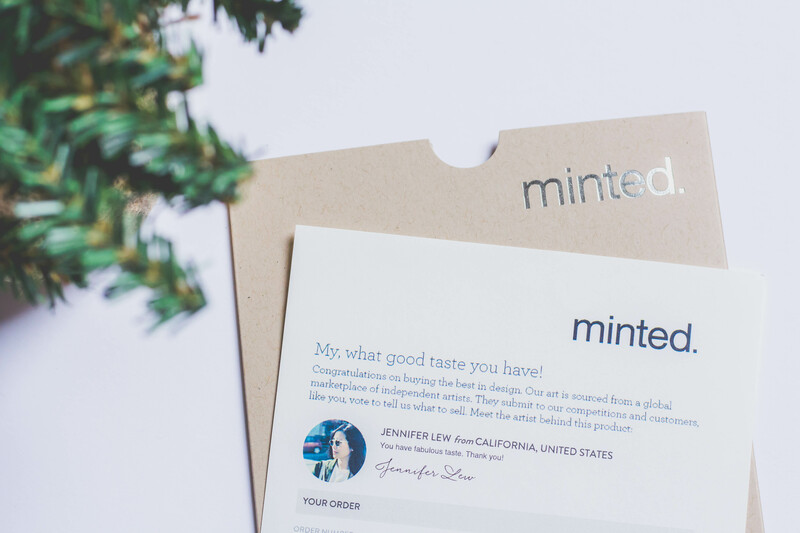 Have you ever used Minted for cards or invites before? Your cards are sooo cute! We usually do Christmas cards but with buying a house, moving this month, trying to get our other house ready to go on the market, being pregnant, holidays, getting Rory’s 1 yr pictures done this coming weekend and planning Rory’s 1st birthday party… it just isn’t happening this year. Oh my goodness, I love these!!! So adorable! I also love including a letter in Christmas cards! I design my own cards on PicMonkey (using the back to write my letter/highlights of the year) and print them as a postcard through Vistaprint, then put them in envelopes from AmazonBasics. It sounds like a lot of work, but I really enjoy it!